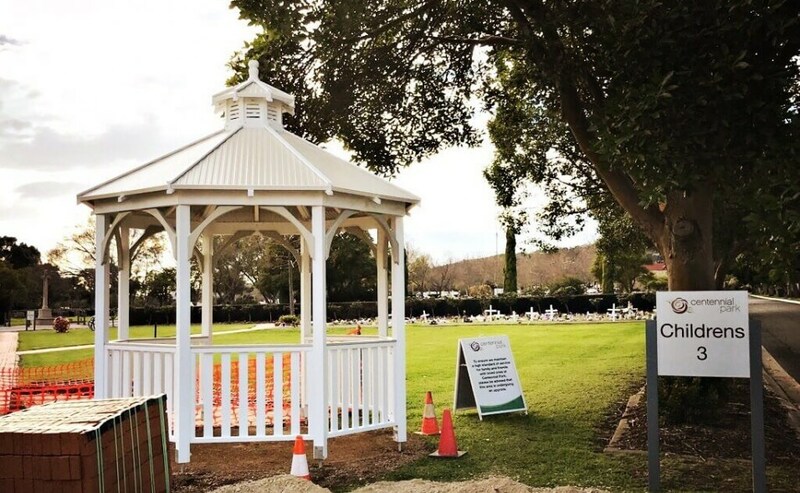 At Centennial Park, we’re proud to provide a beautiful, peaceful and reflective space for all South Australians to enduringly commemorate their loved ones. Our Children’s area is a particularly special place in our Park and we have just completed the installation of two new federation-style gazebos. We will also be landscaping the area with flowering plants and trees and placing additional seating, creating an intimate space for thoughtful reflection.